Our guest this week is Carole Lyles Shaw. 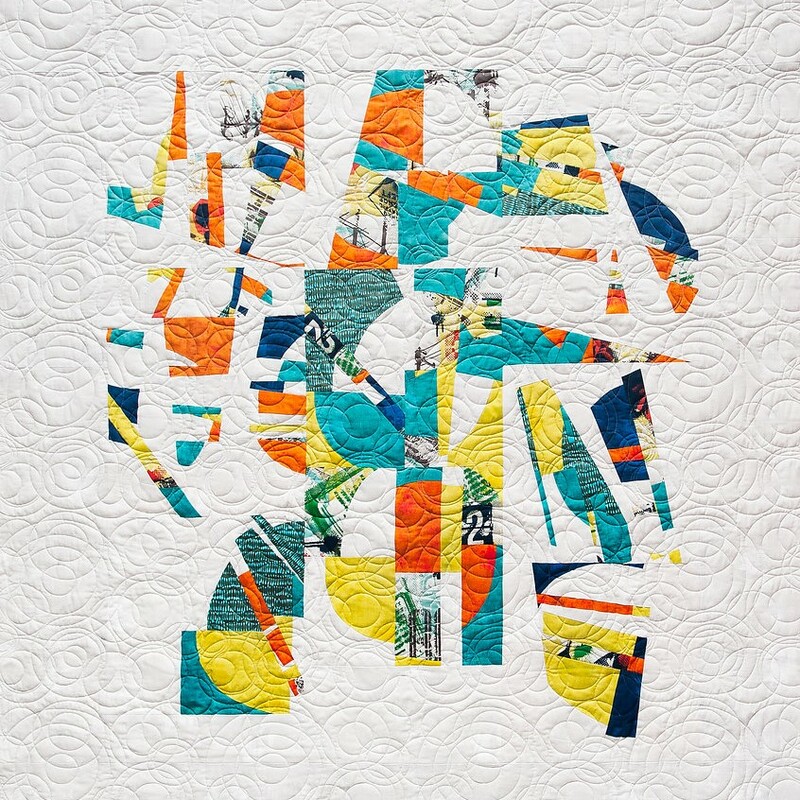 Carole is a quilt designer, educator, and author. Like many quilters Carole started quilting to make and give quilts to her family. 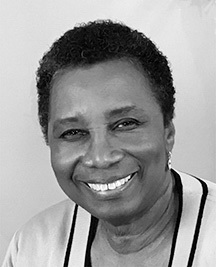 She was lucky to find herself at home with the African American Quilters of Baltimore who shared the secrets and technique to allow Carole to express herself creatively through quiltmaking. Just as she has been taught and encouraged to follow her artistic vision, Carole now lectures and teaches to share and encourage others to find their own unique creative voices. What does working improvisationally mean to you? How would you define the ‘Art of Improv’? Improvisation is creating variation that can happen planned/intentionally or accidentally or a combination of both. It’s the process of asking “What if I….” and then just doing it without worry about the result. It’s learning as you go. It’s curiosity in action. Mostly it’s about freedom and play. Yes—even over 25 years ago when I was making more traditional quilts, I would improvise some aspect of it. Initially, it meant using my scraps from making the blocks and turning them in to an improvisational border around a traditional grid center. I have an intention for the next step in terms of process but NOT in terms of the outcome. In other words, I know the process (cut or add a color or add another piece of fabric). However, I do not try to predict or totally control the result. How often do you work with improvisation? Nearly every quilt I make has some improvisation. Even when I’m writing a pieced block pattern, I am thinking about improvisational possibilities in the border or even in a block. I usually start with a shape and a color scheme. I work in series—well, I have two or three series going on at any point in time! So, lately, I’ve been making various types of curved blocks—it’s freehand cutting Drunkard’s Path blocks. You can see these blocks in the Parisian Curves quilts and now in the Mid Century Modern Curves quilts. I know where I’m going next with the curves…..stay tuned! If I feel stuck, I take photos. I leave the pieces up on the design wall. Or, I may take them down, and put them away for a few days or even weeks. I am always willing to completely abandon a project if it doesn’t appeal to me. Yes, it’s ‘wasting’ fabric but usually the blocks go in the scrap bin. Occasionally, they get recycled into a scrappy baby quilt for a friend. Or, I give them away at guild meeting or to others who sew scrappy. Nearly all of my inspiration comes from 20th and 21st century modern art. I’ve blogged about some of the many artists whose work I look at. I’m not trying to recreate or imitate. I’m trying to learn from them as they explore design ideas or work with color. Urban Street Graffiti inspires me—although I couldn’t really tell you how it shows up in my work. Maybe it’s the uninhibited use of bold flowing and jagged lines. One sewing technique I’ve learned from the quilter Chawne Kimber—that’s sewing very, very tiny strips that can finish at 1/8th inch or even smaller. And, of course, traditional blocks are the basis for everything, aren’t they? What advice would you give to someone interested in trying to work improvisationally. Can you share some good advice that you received that helped you become more comfortable this way? Stop over thinking and just play. I laughed when I got to this question! Because it is my core approach to all of my quilt design work. I have a million versions of the “What If…” and not nearly enough time to explore all the design ideas. In the meantime…what if I had a full time housekeeper and chef because then I could spend 24/7/365 in my studio……..Oh, I’d also need a personal assistant to write my social media stuff and send my draft patterns to my pattern testers and graphic designer…..LOL!!! I listen to storytelling, science and culture podcasts all the time. I love: The Moth; The Memory Palace; The Kitchen Sisters; What’s Up with Stretch and Bobbito; Code Switch; The Stoop [the one about Baltimore MD]; What’s Ray Saying; 99% Invisible; Science Friday and so many more. I also listen to audiobooks from my local library—I listen to modern detective stories that have a bit of noir to them or the ones that are funny and clever and fast-paced. When I’m hand sewing a binding, I watch almost any British or Australian mystery series or sci fi like Marvel movies or the new version of Ghostbusters [so much better than the original!]. I also really like ‘let’s drive fast cars and blow stuff up” movies like Fast & Furious or Bourne. I’m an action movie/sci-fi fangirl. I also like the mystery TV shows like Sherlock, Elementary and so forth. Thank you Carole! I really appreciate your approach to exploring and play, and share your desire to spend 24/7 in the studio! Thank you for sharing your thoughts and ideas about your process and we will be sure to stay tuned as to what you have up your sleeve with the curved piecing pattern. Learn more about Carole and her work here and here, and follow her process on Instagram here.